So in June of 2009, a few engineers and I pooled our 20% time and worked to develop a prototype of what would eventually become Click-to-Call for smartphones, an ad unit that makes it easier for people to connect to a business by phone, rather than through a website. Building the feature was the easy part; essentially, we developed an ad extension that allows advertisers to include a phone or location in their campaigns. However, it was launching it to advertisers that posed the biggest challenge. With new products like Click-to-Call, we often choose to launch in beta, and incrementally roll out the features to a small subset of users, usually beginning at a 1% test and increasing from there. 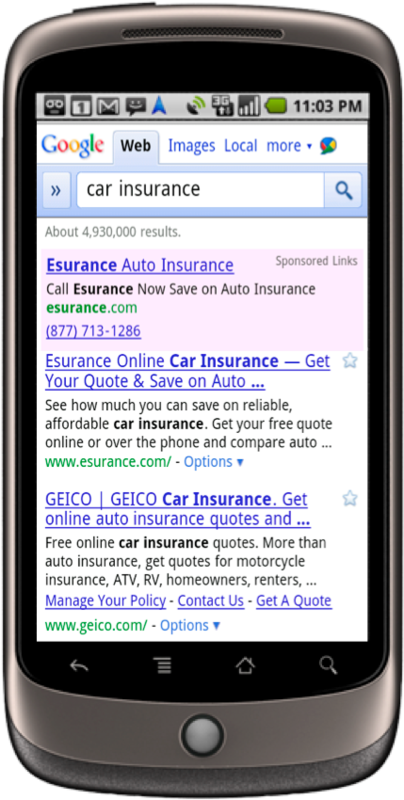 With Click-to-Call, we’d developed a mobile feature that we wanted to launch as soon as possible, but since mobile advertising was much smaller at that point—then with only about one-sixth as many search queries we get today—we calculated that it would take nearly three years to roll out to 10% and around 10 years to actually launch it. At that rate, the feature would likely become antiquated long before it ever officially launched. So I decided not to follow the usual process and took a risk, choosing to launch to 50% of Google’s mobile advertisers within the first week. In my view, there was simply no other way to collect enough feedback in a short period of time so that we could quickly iterate based on feedback. Thousands of advertisers—an unprecedented amount for a brand-new feature—were on board to try it out, and with a few engineers and some pretty massive spreadsheets, we started to see real results. Within a month, we had the magical ingredient—momentum—and from there we were collecting enough feedback to be on track to bring the feature to all advertisers in a matter of months. This is one of the reasons I work at Google. Google gives me freedom to experiment, ownership of my ideas, and amazing resources and support. We built Click-to-Call in June 2009, began testing it in July, and had it up and running for all advertisers in January 2010. 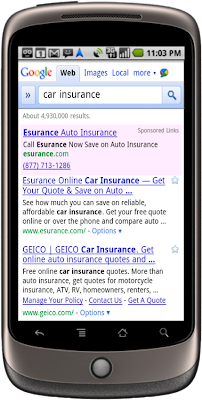 One year later, Click-to-Call ads on both search and the Google Display Network are generating millions of calls every month on mobile phones and driving strong performance for advertisers. If you’re interested in exploring some of the most significant trends in mobile, you can watch our Think Mobile livestream this Thursday, February 10 at 1:05pm EST, where we’ll discuss why it’s “not too late for businesses to still be early” in this space.